Each session offers all of our regular classes with professional curriculum and experienced instructors. Students experience a full day of classes Monday-Friday. with up to 6 hours of class time during the day and a 3 hour rehearsal period for their designated shows at night. This class, as led by the Music Director, covers various areas of music training including reading music, and sight singing. 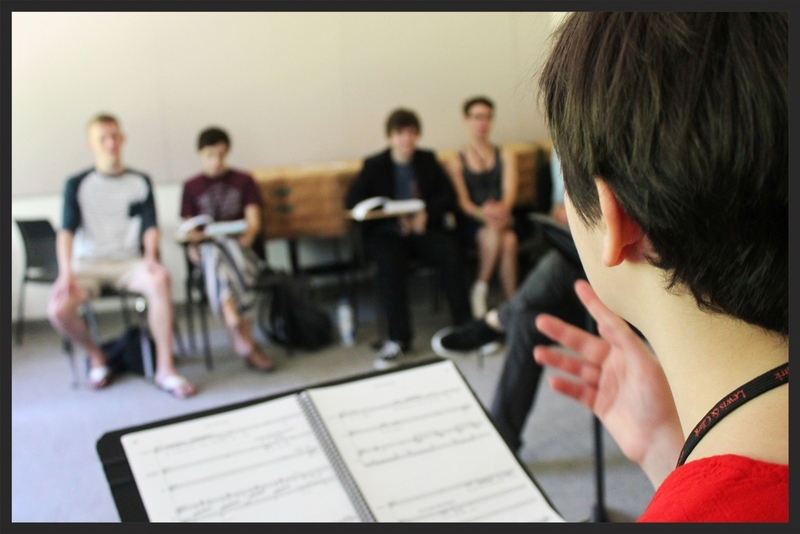 Technique, blend, harmony, tone, and interpretation are explored in the singing portion of the Music class. This class teaches students to listen to, care for, challenge and appreciate their body as an instrument. Through creative movement, body awareness, breath work, and experimental techniques, students tune their bodies and voices to work for them on stage and off. We at CGST believe that actors learn by doing. In this class, led by our Artistic Director and using the Sanford Meisner Technique, students will use improvisation to liberate themselves and become free, expressive, and specific actors. This class, as led by the Dance Director, includes jazz, ballet, tap, choreography, and musical theatre dance. Stretching, strengthening, balance, technique, and combinations are all important parts of these classes. This weekly class, led by the students, focuses on the business, or "Biz," of theatre. In panel format, the staff will answer questions about TV and Film, auditioning, colleges, head shots, resumes, getting an agent, and more.